Tina Allan and John Osborn. Whose job is it to make sure your creative team is following the data? At BBDO, starting this week, it’s the job of Tina Allan, the Omnicom agency’s first EVP, Director Data Solutions. Formerly the chief client officer at digital marketing services firm RAPP, Allan has been tasked with making "the work work better" by introducing data to every step of the creative process. She will do this not as a creative director, or a strategist, but as a member of the management team. "There’s a way to collaborate where we’re just all informing each other," she says. To better understand BBDO’s new approach to this industrywide challenge, we spoke to Allan and her new boss, John Osborn, president and CEO of BBDO New York, about the idea behind the new role, where data fits into the creative process, and the dangers of programmatic creative. What is this new job? Describe what Tina will be doing on a day-to-day basis. John Osborn: What she’ll be doing is developing data-driven strategies and insights that will ultimately fuel the creative work we do here at the agency. It is hugely important for us — as you look at how the ecosystem now works — that data really informs the choices that we make from a targeting perspective, from an investment perspective and from a channel perspective. Whose job was this before? Osborn: We have some analysts that sit within our digital and social practice, but we felt as though — given the way the game is being played — we needed someone with much more extensive experience and background to lead this for us going forward. We saw it as an opportunity, not a weakness. We’re coming together here not out of necessity but because we think it’s something that we need to do, and will only help us do our work better for clients. But it is a necessity, isn’t it? There are a lot of companies out there offering to do this. How do you convince clients you can do it better? Annalect has a whole bunch of tools over there, and they’re there for our people to tap into. But there’s a certain amount of back and forth that happens because we’re not exactly sure which are the right tools that are best fit for the type of challenges that we’re facing. So Tina can fast forward through all that to get to the solutions faster and more effectively than what had been happening up to this. At what stage will Tina be brought into the creative process? Tina Allan: I don’t think analytics sits in the back; it sits in the front. It’s informing throughout the creative process. You get to be the thread for the sweater; you get to be the person who runs alongside the team from the beginning to the end and the person who gets to sit with the clients to really simplify and translate for them. ... I think that’s a bit of our challenge right now when our clients are coming to the table and they’re asking all these questions. They’re overwhelmed as well. Everyone knows we need to be fast, cheap, quick and good, and now they’re asking questions about data, questions around who, where, how, how much, who are we targeting? And I think that has to happen in real time now. Assuming part of the goal here is to embrace programmatic creative, is there not a risk that we lose sight of shared brand experiences? Who is standing up for the single big idea that works for everyone, across demographics and geographies? Allan: We shouldn’t get hung up on the tactics; the big idea comes first before we worry about the specifics of a customized ad or media buy. We start at the beginning and the center, and I think [chairman and chief creative officer David] Lubars is great at focusing on the big idea around the moments that matter and the big creative idea. I think you have to stay centered around that. The data is around informing that experience. Osborn: The world is not primed tomorrow to go 100% purely addressable content. No. 1, to make it really addressable you have to cross over that creepy hurdle, like, "How did they know all this stuff about me?" And two, from an economics perspective, to do that, the model to distribute the content hasn’t been optimized yet. So there’s a lot going on from a test-and-learn perspective. The third factor is, yes, there is a certain element of a collective sharing of an experience that people still need to enjoy, and it depends on what kind of mood they’re in. There are times I just want to sit on my couch and let it all wash over me, then there are times when I might really need something spoon fed to me in a very addressable personal way. I don’t think its an either-or. Will Tina eventually be given a staff, or does BBDO think this is properly the job of one person? Allan: It’s not a one-man show. 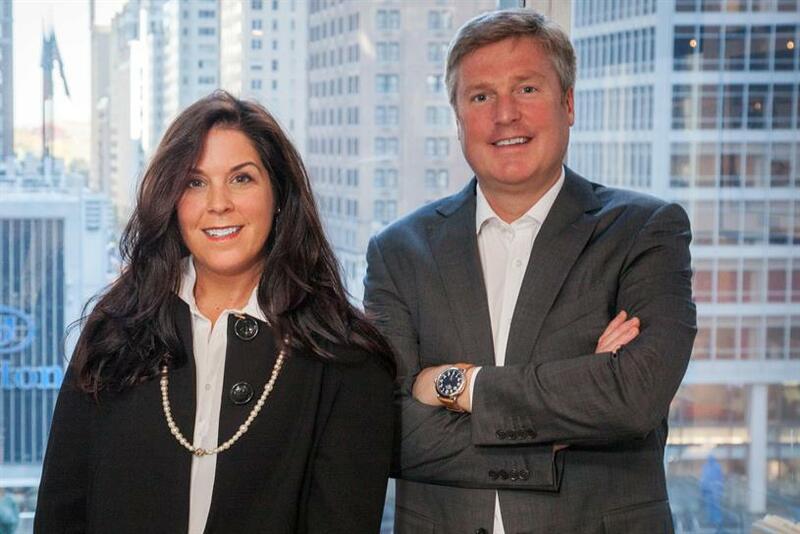 It’s actually bringing the power of Omnicom together. I think we have really some unique opportunities with Annalect that exist today. BBDO is doing some great work with them right now; we’ve got other pockets of analytic excellence across our social channels. We also know clients are coming to the table with analytics or decision-science people, and they are asking the questions of how to make the data smarter for them. Those problems need to be answered up front so we can be as efficient and effective in our creative solutions for them. At the end of the day, I’m a connector and accelerator of what we can bring appropriately to each client, cause each client’s needs are different.